Cardiology of Virginia was established in 1998 by Dr. Mark Johns as a small cardiology practice near Johnston-Willis Hospital. Since that time, Cardiology of Virginia has grown into a thriving and well-respected cardiology group. The cornerstones of Cardiology of Virginia are competence, experience, and a personal and caring approach to our patients. Our approach illustrates that we are not just your healthcare provider; we are your healthcare partner. We understand that when a patient is ill, they need to be seen quickly. This is why we are pleased to be able to offer same day or next day urgent and new patient appointments. We are committed to providing competent, compassionate, and timely cardiac care to the patients who entrust us with their health, or the health of their loved ones. We see patients at our Midlothian, Virginia, office located in the Brandermill area near the intersection of Genito and Old Hundred Road. Cardiology of Virginia provides services at Chippenham Medical Center, Johnston-Willis Hospital, and St. Francis Medical Center. If you ever need our services in the emergency room of either hospital, insist that Cardiology of Virginia be notified. 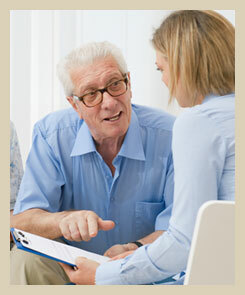 One of our physicians will meet you there to help expedite your care. Seeing a familiar doctor in an emergency has been shown to dramatically improve patient care and provide peace of mind. We are currently accepting new patients. New office patients can usually be seen within one to two business days. We appreciate all referrals and thank you for entrusting us with the care of your patients, friends, and family.